Apple has announced iPhone 6s/ 6s Plus and new rose gold color. Don’t want a case to conceal the fashionable tone? Speck’s CandyShell Clear iPhone 6s case should be a nice solution, and it provides a two-layer protection for your new iPhone. As its name implies, the CandyShell Clear protective case shows off a fully transparent appearance that is capable to display you the charming and elegant tone of your iPhone 6s, especially the newly added rose gold color, and the 0.14″ thin profile lets you effortlessly slide your phone in your pocket or hold it in comfort. 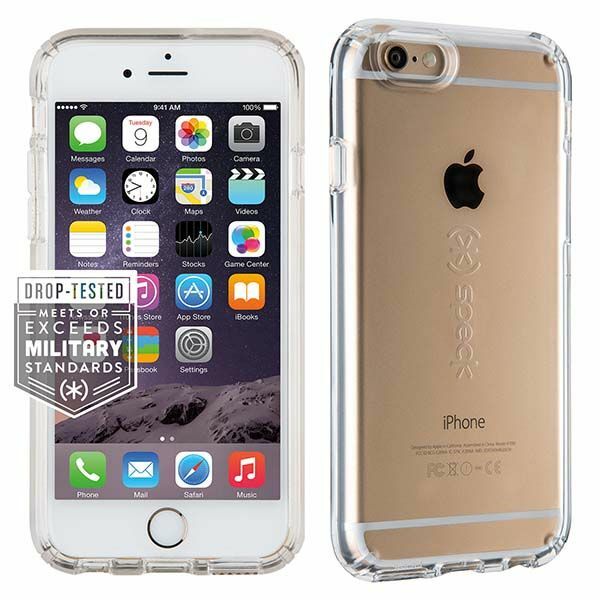 The iPhone 6s case also features a durable two-layer construction that consists of exterior polycarbonate layer and interior TPE layer, and the case is certified to meet or exceed MIL-STD-810G drop test standards so it effectively protects your phone from impacts and shocks, meanwhile, patented raised bezel prevents the screen from scratching when laying flat. In addition, its rubberized covers not only shield volume and power buttons, but also keep them fully accessible. 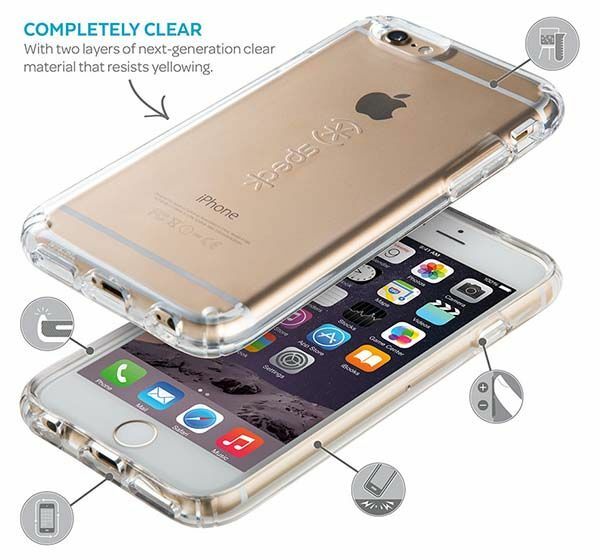 The CandyShell Clear iPhone 6s case also works with iPhone 6. It costs $34.95 USD. If you’re interested, jump to Speck for its more details. BTW, also don’t miss Slim Armor CS iPhone 6s/6s Plus cases and more related cool stuff by following tags.